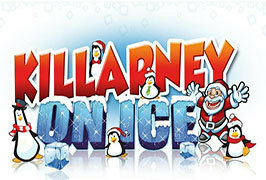 Killarney on Ice will make a return visit to the Christmas in Killarney Festival this year. It also has a new bigger and better location beside the Beech Road car park. This is your chance to soak up the Christmas atmosphere by skating on real ice! Grab your friends and family and organise a fun trip out this Christmas!